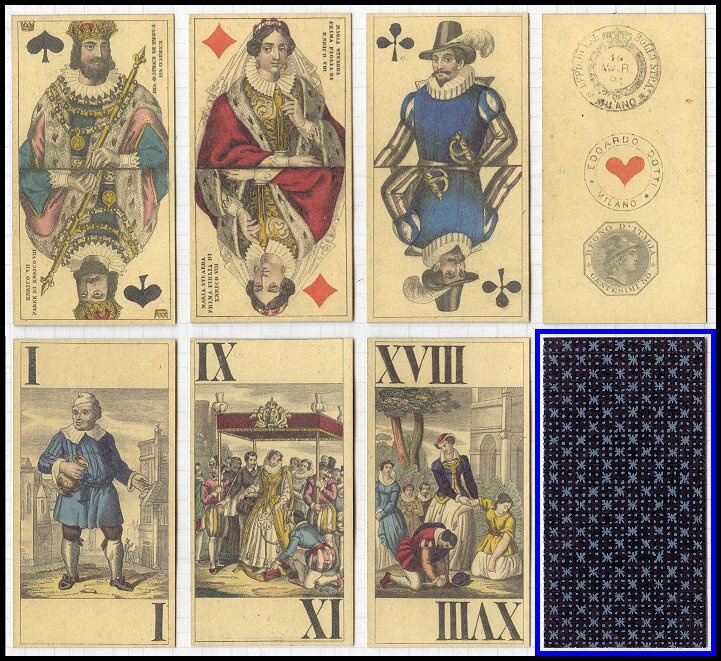 Reproduction of a Tarot pack first issued by Edoardo Dotti, Milan, c1845, featuring Mary, Queen of Scots. 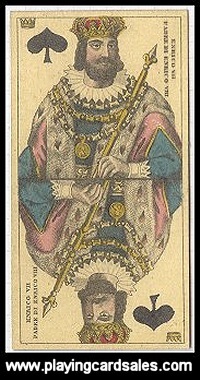 Court cards show Mary and other contemporary royalty. Trumps depict scenes from her life.